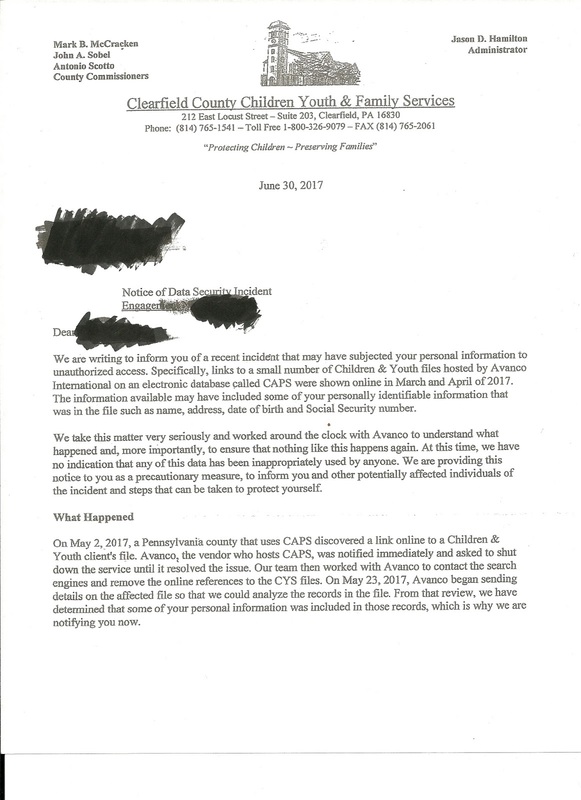 Not to pleasant to receive a letter Clearfield County Children Youth Family Services HACKED. 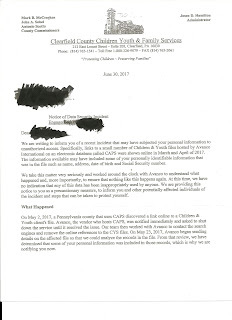 Yes computers compromised and personal information stolen. Much of this information likely to be unrecoverable. Just imagine the HORROR that could be created from this SERIOUS DATA BREACH. All CYS administrators as well as ALL the Clearfield County Commissioners should be removed from office for dereliction of duty. Dereliction of duty widely refers to failure, through negligence or obstinacy, to perform a legal or moral duty to a reasonable expectation.